Scientific research shows that couples need more than just spending time together to stay romantic. Pearhaven.com announces new Date Wizard which helps couples to quickly come up with new date ideas. Since romantic relationships need more than just spending time together to stay fresh, the new Date Wizard at PearHaven.com was developed to provide a place where couples can discover new date ideas. With Date Wizard, couples click on categories for their desired activities. Date Wizard then quickly suggests new date ideas in their zip code or wherever they want to go then maps out their fun dates such as lazer tag, dessert or dinner and a movie. 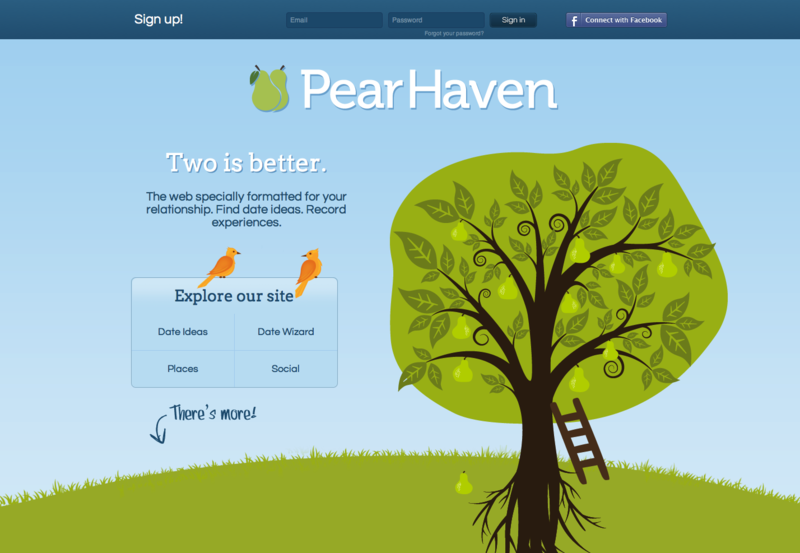 Pearhaven was created by founder, David Lackey, so the web could “revolve around couples rather than individuals, while utilizing all of the different sharing aspects of traditional social networks and bringing them into romantic relationships”. The idea for PearHaven was born after a discussion about relationships between Lackey and his girlfriend, which was spurred by a Social Psychology class he was taking at Princeton. The concept came to fruition the following summer. Lackey says, “As the concept started to grow into a reality, we began to discover that what mattered most to our potential users was finding new date ideas. Couples would often be limited to going to the same places just because they weren’t aware of other great date spots." PearHaven.com is a social website for couple relationships, providing new date ideas using Date Wizard, a place to record actual dates and experiences, earn badges, post photos and to stay connected with other couples.